Henry E. Smith is the Fessenden Professor of Law at Harvard Law School, where he directs the Project on the Foundations of Private Law. 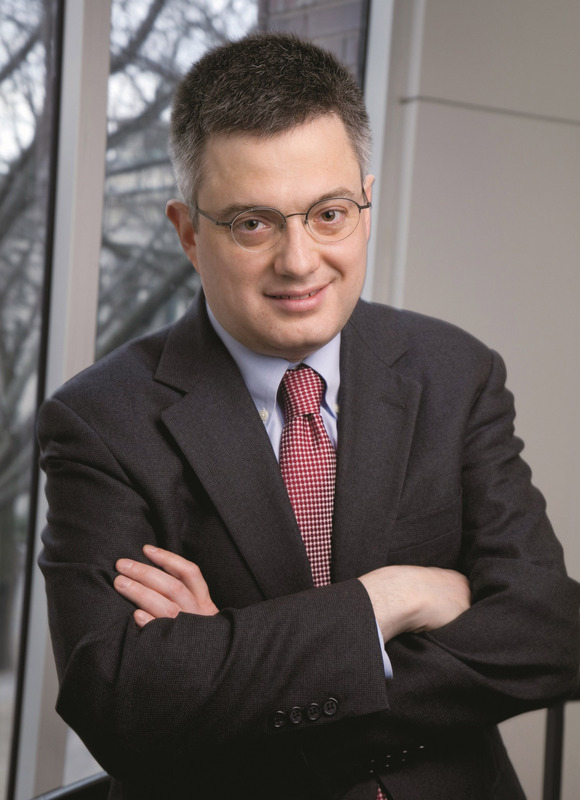 Previously, he taught at the Northwestern University School of Law and was the Fred A. Johnston Professor of Property and Environmental Law at Yale Law School. He holds an A.B. from Harvard, a Ph.D. in Linguistics from Stanford, and a J.D. from Yale. After law school he clerked for the Hon. Ralph K. Winter, United States Court of Appeals for the Second Circuit. Smith has written primarily on the law and economics of property and intellectual property, with a focus on how property-related institutions lower information costs and constrain strategic behavior. He teaches primarily in the areas of property, intellectual property, natural resources, remedies, and law and economics. His books include The Oxford Introductions to U.S. Law: Property (2010, coauthored with Thomas W. Merrill), Property: Principles and Policies (3d ed., 2017, coauthored with Thomas W. Merrill), and Principles of Patent Law (7th ed., 2018, co-authored with John M. Golden, F. Scott Kieff, and Pauline Newman). He is the co-editor of The Research Handbook on the Economics of Property Law (2011, with Kenneth Ayotte), Philosophical Foundations of Property Law (2013, with James Penner), and Perspectives on Property Law (4th ed., 2014, with Robert C. Ellickson and Carol M. Rose). In 2015-2016, Smith served as the President of the Society for Institutional and Organizational Economics, and in 2014, the American Law Institute named him Reporter for a Fourth Restatement of Property. Henry E. Smith, Fusing the Equitable Function in Private Law, in Private Law in the 21st Century (Kit Barker, Karen Fairweather & Ross Grantham eds., 2017). Thomas W. Merrill & Henry E. Smith, Property: Principles and Policies (Found. Press 3rd ed. 2016). Henry E. Smith & Thomas W. Merrill, The Oxford Introductions to U.S. Law: Property (Oxford Univ. Press 2010). Written by two authorities on property law, this book gives students of property a coherent account of how property law works, with an emphasis on describing the central issues and policy debates. Constantine Boussalis, Yuval Feldman & Henry E. Smith, An Experimental Analysis of the Effect of Standards on Compliance and Performance, 12 Reg. & Governance 277 (2018). Legal directives – whether laws, regulations, or contractual provisions – can be written along a spectrum of specificity, about which behavioral and legal scholarship present conflicting views. We hypothesized that the combination of specificity and monitoring promotes compliance but harms performance and trust, whereas the combination of specificity and good faith enhances both the informative goal-setting aspects of specificity and people's sense of commitment. To test these hypotheses, we used a 2x2x2 experimental design in which participants were instructed to edit a document with either general or detailed instructions, with a reference to good faith or without it, and with a review of the work or without it. Participants could engage in various levels and kinds of editing, allowing us to distinctly measure both compliance and performance. When participants require information and guidance, as in the case of editing, we found that specificity increases performance relative to the vague standard condition. We discuss the characteristics of the regulatory frameworks in which our findings are especially relevant. Henry E. Smith, Equitable Defences As Meta-Law, in Defences in Equity (Paul S. Davies, Simon Douglas & James Goudkamp eds., Hart 2018). Equitable defences are the front line of controversy over fusion. Because law and equity offer a range of defences that partially overlap and the rationale for matching equitable defences to equitable remedies is at least as obscure as the rationale for separate equitable remedies, conventional wisdom holds that the more one can fuse the equitable defences into the law the better. In this chapter I argue that equity roughly reflects a distinct function - a safety valve that operates at a higher (meta) level over the rest of the law and that responds to problems of high uncertainty and variability. These characteristic problems include opportunism and multipolar conflicts. From a functional point of view, some of the special treatment of equitable defences makes sense, and puzzling patterns in this area receive an explanation and some justification. Even the adaptation of some equitable defences into the law dovetails with a dynamic picture of the equitable function. Andrew S. Gold & Henry E. Smith, Scaling Up Legal Relations, in The Legacy of Wesley Hohfeld: Edited Major Works, Select Personal Papers, and Original Commentaries (Shyam Balganesh, Ted Sichelman & Henry Smith eds., forthcoming 2018). John C.P. Goldberg & Henry E. Smith, Wrongful Fusion: Equity and Tort, in Equity and Law: Fusion and Fission (John C.P. Goldberg, Peter Turner & Henry E. Smith eds., Cambridge Univ. Press forthcoming 2018). Henry E. Smith, Property as Complex Interaction, 13 J. Inst. Econ. 809 (2017). In his important article, Benito Arruñada draws out the significance of sequential exchange for property rights and traces inadequacies in the economics of property rights to its overly contractual focus, to the exclusion of multiple transactions on the same asset. In this comment, I argue that although Arruñada's problem is a genuine one, it is part of a larger inadequacy in the economic analysis of property rights: property institutions have to manage complexity stemming from many kinds of interactions, making it problematic to focus solely on local interactions. Modular structures in property, including legal ‘things’ themselves, serve to manage this complexity. The larger problem of complexity allows us to set sequential exchange in its proper context. Henry E. Smith, Economics of Property Law, in The Oxford Handbook of Law and Economics v. 2: Private and Commercial Law 148 (Francesco Parisi ed., 2017). Andrew S. Gold & Henry E. Smith, Sizing up Private Law (Aug. 10, 2016). Functional and interpretive theories of private law appear to differ greatly. For functionalists, an external theory should capture real-world results in terms of efficiency, distributive justice, or some other functional criterion, leaving the morally-infused concepts immanent in the law as an intermediate epiphenomenon. Functionalists tend to downplay the role of concepts and doctrines, especially those couched in the moral terms used by participants in the legal system – legislators, judges, and laypeople. By contrast, the interpretivist seeks first and foremost to be true to the moral self-understanding of the law, which necessarily includes the concepts and rules of private law as expressed by those inhabiting the law. In this paper, we argue that the conflict between external and internal perspectives in private law is misunderstood – and is both exaggerated and underplayed. Both external and internal perspectives pay too little attention to how the “micro” level of individual, even bilateral, interaction relates to the “macro” level of society and the law as a whole. We will show that both perspectives overlook the resources they could employ to explain how the micro and macro are connected: in their different ways, external and internal perspectives do not draw out the connection between local simplicity and generalization. In a nutshell, both perspectives could converge on a picture of private law in which locally simple structures of bilateral rights and duties scale up to produce more complex structures at the level of society. We suggest that functionalists should take seriously the moral norms that are immanent in private law – these norms are central to the functioning of private law as a system. Without these modular components, private law can be intractably complex. Accordingly, we propose an inclusive functionalism, one that takes these moral norms at face value. These moral norms perform a crucial function of managing the otherwise intractable complexity of the interactions between parties governed by private law. We also propose an inclusive interpretivism, which is more open to functional considerations involving simplicity. Private law must avoid intractable complexity if it is to function properly, and this calls for a simplicity criterion: interpretivists should look for moral norms that are both simple and generalizable. Once theorists recognize this point of convergence – on norms that are simple and generalizable – it becomes clearer what is at stake in private law disputes. Resolving private law’s conceptual structure at the middle level leaves open foundational questions. What grounds private law? Distributive justice, efficiency, or perhaps a mix of other values? Likewise, we can now better assess interactions between systemic, society-level goals and micro- or mid-level considerations. Should contract law be adjusted so that it has different distributive effects? Should property law be reformed so that it responds differently to fairness concerns, or to human flourishing? These and other questions can only be assessed properly once we have taken into account the way that private law operates as a system. Yun-chien Chang & Henry E. Smith, Structure and Style in Comparative Property Law, in Comparative Law and Economics 131 (Giovanni Battista Ramello & Theodore Eisenberg eds., 2016). In this book chapter, we argue that the distinction between "structure" and "style" is important in understanding the similarities and dissimilarities in common and civil law property. Structure is the functional form the law employs to protect people’s use interests, whereas style is a manner of delineating entitlements that is characteristic of a particular legal culture. The same structure of property can be implemented in a number of styles. For transaction costs reasons, property systems under the two traditions (common and civil laws) are similar and have to be similar. Their styles today, as is well known, are quite different, due to their different histories and path dependence. To underpin our point that it is critical to look beyond property styles to understand the economic nature of property, we closely examine mortgage (called hypothec in civil law countries). The styles of mortgage/hypothec cannot be more different. Several countries consider mortgage a property right; several others delineate it as a contract; while some others view it as neither property nor contract. We demonstrate that mortgage/hypothec, like other, uncontroversial property interests, contains the three essential elements of property. Thus, in terms of structure, mortgage/hypothec is a property right in all jurisdictions, despite the wide variety of styles in the civil and common law systems. Henry E. Smith & Yun-chien Chang, The Numerus Clausus Principle, Property Customs, and the Emergence of New Property Forms, 100 Iowa L. Rev. 2275 (2015). Henry E. Smith, The Persistence of System in Property Law, 163 U. Pa. L. Rev. 2055 (2015). Henry E. Smith, Equity as Second-Order Law: The Problem of Opportunism (Jan. 15, 2015). Despite the fusion of law and equity and the apparent demise of equity as a distinct system, this Article argues that equity is a distinct decision making mode within a legal system. Private law relies on formal structures of rights and rules that can be exploited and abused by opportunists. The possibility of strategic manipulation of the information available to other parties and to courts furnishes a rationale for a second-order safety valve on the formal law. In the Anglo-American tradition this anti-opportunism safety valve corresponds roughly to a major strand of equity jurisprudence. The Article shows that an equitable safety valve is to be found in both traditional equity theory and as a theme in equity, from the maxims to defenses to remedies to procedure. The Article explains and partially justifies the equitable safety valve as an ex post higher-order intervention aimed at a problem of measurement and uncertainty: law needs protection against opportunistic distortion and misuse of probabilistic information used by parties and courts. The importance of equity suggests a rethinking of “actuarialist” assumptions in conventional law and economics about stable and unbiased probabilistic information being available to parties and courts. Opportunists can be regarded as entrepreneurs in doing bad who exploit uncertainty. Once the function of equity as an anti-opportunism device is understood, many jurisprudential debates, especially those revolving around formalism and contextualism, can be seen to be lacking an appreciation of hybrid decision making that equity makes possible. Equity as an anti-opportunism safety valve provides an attractive way out of some thorny dilemmas. Henry E. Smith, The Elements of Possession, in The Law and Economics of Possession 65 (Yun-chien Chang ed., 2015). This Chapter offers a bottom-up account of possession that builds on salience-based accounts of conventions and on the economics of property rights. Possession is a first cut at a legal ontology in an overall modular architecture of property. The legal ontology divides the world up into persons and things, and establishes associations between persons and things. These associations will be in the interest of use, and so possession will usually require stylized duties of abstention on the part of other potential users. Depending on the nature of the group, the resources, and the universe of possible uses, duties of abstention can be implemented though norms of exclusion or governance of particular uses. What counts as a “thing” emerges from a combination of possession and accession, and so these aspects of property form a basic module, which serves as a basic default regime that can be displaced by more refined rules of title and governance. Possessory customs tend to be formalized into law, and yet for reasons of information cost, basic notions of possession retain their importance in many, especially informal, contexts. From the basic modular architecture many of the puzzling features of possession receive an explanation. Henry E. Smith, Why Fiduciary Law Is Equitable, in Philosophical Foundations of Fiduciary Law 261 (Andrew S. Gold & Paul B. Miller eds., 2014). Henry E. Smith, The Thing About Exclusion, 3 Brigham-Kanner Prop. Rts. Conf. J. 95 (2014). In this contribution to a volume on the work property scholarship of Thomas Merrill, I will show how an account of property as the law of things completes the picture of property, putting the right to exclude in proper perspective. Contra Merrill, the right to exclude is not the sine qua non of property, and the main features of property cannot be derived from the right to exclude. Nonetheless, I will argue that Merrill is right to search for a unifying theme in property and that the relevant thread is the mediation of legal relations through things. From the role of the thing in depersonalizing and formalizing property relations, we can see when the right to exclude and closely related notions of possession are – and are not – important. Private law deals with the complex interactions of members of society, and a first cut at managing potential conflict is to carve the world into modular things, in tangibles or intangibles, and associate them with people through the norms and the law of property. More complex aspects of property from governance strategies to entity property build off of the legal thing. At the heart of property is the thing. Yuval Feldman & Henry E. Smith, Behavioral Equity, 170 J. of Inst. and Theoretical Econ. JITE 137 (2014). Henry E. Smith, Property as Platform: Coordinating Standards for Technological Innovation, 9 J. Competition L. & Econ. 1057 (2013). Henry E. Smith, Equitable Intellectual Property: What's Wrong with Misappropriation?, in Intellectual Property and the Common Law 42 (Shyamkrishna Balganesh ed., 2013). Leading scholars of intellectual property and information policy examine what the common law can contribute to discussions about intellectual property's scope, structure and function. Kenneth Ayotte, Ezra Friedman & Henry E. Smith, A Safety Valve Model of Equity as Anti-Opportunism (Nw. L. & Econ. Res. Paper No.13-15, Mar. 30, 2013). In this paper, we argue that the notion of equity as a safety valve on the law can be seen as part of the law’s response to the problem of opportunism. We define equity as the use of a more flexible, morally judgmental, and subjective mode of legal decision making that roughly corresponds with historical equity. We distinguish opportunists as agents who have unusual willingness and ability to take advantage of necessary imperfections in the law. We present a simple contracting model that captures the role of equity as a safety valve, and show how it can solve problems posed by opportunists. In our model, a simple but imperfect formal legal regime is able to achieve first best in the absence of opportunists. But when opportunists are added, a more flexible regime (equity) – specifically, one that denies damages to parties who exploit contractual gaps – can be preferred. However, equity is also vulnerable to being used opportunistically by the parties it intends to protect. For this reason, we show that it is often preferable to limit equity, reserving it for use only against those who appear sufficiently likely to be opportunists. Our model generates intuitive comparative statics that describe the optimal expansiveness or restrictiveness of equity. Henry E. Smith, Custom in American Property Law: A Vanishing Act, 48 Tex. Int'l L.J. 507 (2013). Henry E. Smith, F. Scott Kieff, Pauline Newman & Herbert F. Schwartz, Principles of Patent Law: Cases and Materials (Foundation Press 6th ed. 2013). This new edition also includes materials that contrast the common, utility patent, with other patent-like regimes including plant patents and design patents. Yun-chien Chang & Henry E. Smith, An Economic Analysis of Civil Versus Common Law Property, 88 Notre Dame L. Rev. 1 (2012). Brian Angelo Lee & Henry E. Smith, The Nature of Coasean Property, 59 Int'l Rev. Econ. 145 (2012). The Coase Theorem is widely regarded as pointing to the importance of positive transaction costs for the analysis of economic institutions. Various interpretations of the Coase Theorem regard transaction costs as some set of impediments to contracting, or more broadly, as the costs of providing institutional solutions to conflicts over resource use. The abstract nature of the Coasean hypothetical tends to promote an abstract notion of property as a thin entitlement: a right in a designated person to take certain actions or derive value from a set of resource attributes. On this view, property is like a collection of tiny contracts. The property rights furnished by actual property law are much more coarse grained than this, and property is correspondingly “incomplete” for transaction costs reasons. Property and contract are substitutes in some situations, but they often are not interchangeable—because of Coasean transaction costs. Henry E. Smith, On the Economy of Concepts in Property, 160 U. Pa. L. Rev. 2097 (2012). Henry E. Smith, Property as the Law of Things, 125 Harv. L. Rev. 1691 (2012). Mark P. Gergen, John M. Golden & Henry E. Smith, The Supreme Court's Accidental Revolution? : The Test for Permanent Injunctions, 112 Colum. L. Rev. 203 (2012). Henry E. Smith, Takings and Givings: The Analytics of Land Value Capture and Its Symmetries with Takings Compensation, (Comment) in Value Capture and Land Policies (Gregory K. Ingram & Yu-Hung Hong eds., 2012). Henry E. Smith & Thomas W. Merrill, Teacher's Manual to Property: Principles and Policies (Foundation Press 2nd ed. 2012). Henry E. Smith, The Equitable Dimension of Contract, 45 Suffolk U. L. Rev. 897 (2012). Henry E. Smith, Property Is Not Just a Bundle of Rights, 8 Econ Journal Watch 279 (2011). Henry Smith, Preventing the Misuse of Preventive Adjudication: A Response to Bray (The Legal Workshop, U. Chi. L. Rev., Apr. 4, 2011). Thomas W. Merrill & Henry E. Smith, Making Coasean Property More Coasean, 54 J.L. & Econ. S77 (2011). In his pioneering work on transaction costs, Ronald Coase presupposed a picture of property as a bundle of government-prescribed use rights. This picture is not only not essential to what Coase was trying to do, but its limitations emerge when we apply Coase’s central insights to analyze the structure of property itself. This leads to what we term the Coase Corollary: in a world of zero transaction costs the nature of property does not matter to allocative efficiency. But as with the Coase Theorem itself, the real point is the implication for a positive transaction cost world: we need to subject the notion of property to a comparative institutional analysis. Because transaction costs are positive, it is no accident that property is defined in terms of things as a starting point, that uses are grouped under exclusion rights, and that in rem rights are widely employed: these features of property receive a transaction cost explanation. Simple lumpy packages of property rights motivated by transaction costs form an important baseline that furnishes presumptive answers to bilateral use conflicts. A more thoroughly Coasean approach points back to a picture of property more like the traditional one furnished by the law. Henry E. Smith, Introduction, in Research Handbook on the Economics of Property Law (Kenneth Ayotte & Henry E. Smith eds., 2011). Legal scholars, economists, and other social scientists interested in property will find this Handbook an often-referenced addition to their libraries. Henry E. Smith, Modularity and Morality in the Law of Torts, 4 J. Tort L. 1 (2011). Tort law presents a puzzle from an information cost point of view. Like property, its duties often avail against others generally, but unlike property it is appears not to be standardized and is more subject to judicial innovation. This essay argues that torts, like property, employs modular structures to manage the complexity of interactions between actors. Both property and torts solve the information cost problem with “in rem” rights in similar ways, by chopping up the world of interactions between parties into manageable chunks - modules - that are semi-autonomous. Instead of employing “things” to achieve modularity, tort law employs other strategies to limit information costs, by hiding information and making tort law less context-dependent than one might expect from a “law of actions.” The features of tort law emphasized by noneconomic theories of tort law - corrective justice, civil recourse, and natural rights - can be seen as managing the complexity of tort law. These include tort’s bilateral structure, the content of duties, and proximate cause. As in property, a heavy reliance in tort law on simple moral norms, which are easy to communicate and self-enforce, receives a partial explanation in terms of information costs. Economic analysis and broadly moral theories of torts turn out to be closer together at the descriptive level than is usually thought. Henry E. Smith, Rose's Human Nature of Property, 19 Wm. & Mary Bill Rts. J. 1047 (2011). Henry E. Smith, Standardization in Property Law, in Research Handbook on the Economics of Property Law 148 (Kenneth Ayotte & Henry E. Smith eds., 2011). Henry E. Smith, Toward an Economic Theory of Property in Information, in Research Handbook on the Economics of Property Law 104 (Kenneth Ayotte & Henry E. Smith eds., 2011). Henry E. Smith, Differential Formalism in Claiming Intellectual Property: A Response to Fromer (The Legal Workshop, U. Chi. L. Rev., Feb. 22, 2010). Henry E. Smith, Law and Economics: Realism or Democracy?, 32 Harv. J.L. & Pub. Pol'y 127 (2009). F. Scott Kieff & Henry E. Smith, How Not to Invent a Patent Crisis, in Reacting to the Spending Spree: Policy Changes We Can Afford (Terry L. Anderson & Richard Sousa eds., 2009). Henry E. Smith, Institutions and Indirectness in Intellectual Property, 157 U. Pa. L. Rev. 2083 (2009). Henry E. Smith, Mind the Gap: The Indirect Relation Between Ends and Means in American Property Law, 94 Cornell L. Rev. 959 (2009). Henry E. Smith, Community and Custom in Property, 10 Theoretical Inquiries L. 5 (2009). Community custom has played a limited but important role in the law of property. In addition to a few major historic examples such as mining camp rules and whaling, property law sometimes relies on community custom, for example in adverse possession, nuisance law, and beach access. This Article proposes an informational theory of custom in property law. Custom is subject to a communicative tradeoff in the law: all else being equal, informationally demanding customs require an audience with a high degree of common knowledge. General customs already known throughout society do not require much extra publicity from the law, and the law can easily draw on such customs. By contrast, customs that vary by community raise the question of the need for processing by non-expert audiences, i.e., outgroup dutyholders and government officials. This tradeoff helps explain the differential receptiveness to various customs and the process by which they are formalized if they are adopted into the law. The information-cost theory suggests that enthusiasts and skeptics of custom have both tended to ignore this process. The theory is then applied to some suggestive evidence from grazing customs and the pedis possessio doctrine in mining law, under which miners have pre-discovery rights to the spot being worked. Finally, the information-cost theory of custom sheds some light on the history and controversies over the numerus clausus (standardization and limitation of the set of basic property forms) and on the question of baselines of property entitlements in the law of takings. Henry E. Smith, Does Equity Pass the Laugh Test? A Response to Oliar and Springman, 95 Va. L. Rev. in Brief 9 (2009). Copyright law may not be the answer, but what is the question? Dotan Oliar and Christopher Sprigman explore an example of a norm system—the one among stand-up comedians against joke theft—and show why it is likely superior to use of copyright to protect rights in jokes. In the course of their study they document both how formal copyright law is unsuited to protecting comedic material and what type of norm system, enforced by other comics and booking agents, has sprung up in its stead. From a property point of view, the likely bi-causal relationship between the development of the antiplagiarism norm and the rise of narrative, observational, and social commentary-style comedy out of earlier vaudeville and post-vaudeville styles is now, thanks to Oliar and Sprigman, one of the better documented cases of Demsetzian development we have. Oliar and Sprigman also argue that for all its dangers of mob justice and extreme simplicity, the norm system does protect investments in developing comedic material and is likely more effective and desirable than an enhanced copyright law that might well crowd out the norms system. Henry E. Smith, Ellickson's Extraordinary Look at the Ordinary, 18 Wm. & Mary Bill Rts. J. 207 (2009). Henry E. Smith, Governing Water: The Semicommons of Fluid Property Rights, 50 Ariz. L. Rev. 445 (2008). This Article applies an information-cost theory of property to water law. Because of its fluidity, exclusion is difficult in the case of water and gives way to rule of proper use, i.e., governance regimes. Looking at water through this lens reveals that prior appropriation employs more governance and riparianism rests more on a foundation of exclusion than is commonly thought. The development of increasing amounts of exclusion and governance are both compatible with a broadly Demsetzian account that is sensitive to the nature of the resource. Moreover, hybrids between prior appropriation and riparianism are not anomalous. Exclusion strategies based on boundaries and quantification allow for rights to be formal and modular, but this approach is particularly challenging in the case of water and other fugitive resources. The challenges of exclusion that water and other fugitive resources present often lead to a semicommons in which elements of private and common property both coexist and interact. Henry E. Smith & Thomas W. Merrill, The Morality of Property, 48 Wm. & Mary L. Rev. 1849 (2007). The relationship between property and morality has been obscured by three elements in our intellectual tradition. First is the assumption, which can be traced to Bentham, that property is a pure creature of law. An institution assumed to be wholly dependent on law for its existence is unlikely to be infused with strong moral content. Second is the related tradition, also Benthamite, of examining questions about property law from a utilitarian perspective. Utilitarianism is, of course, a moral theory. But in its modern applications, based on price theory and cost-benefit analysis, it adopts a framework largely indifferent to questions of individual rights and distributive justice, which many consider the hallmarks of a moral perspective. Third is the tradition, stronger perhaps in academic circles than in popular thought, that associates property with immorality. Starting with Proudhon's slogan that "property is theft,"' and building through Marx and Engels with their call for the abolition of private property,4 this tradition has put property on the defensive in the minds of those drawn to thinking of public policy in moral terms. Henry E. Smith, Modularity in Contracts: Boilerplate and Information Flow, 104 Mich. L. Rev. 1175 (2006). Henry E. Smith, Governing the Tele-Semicommons, 22 Yale J. Reg. 289 (2005). The Telecommunications Act of J996 divides entitlements to network elements between incumbents and recent entrants. This Article analyzes this mandatory sharing regime as a semicommons, a property regime which combines interacting elements of private and common property. The tele-semicommons exhibits problems of strategic behavior and requires complex governance rules to abate them. These problems are particularly acute when they impede needed change in the governance regime. The Article therefore suggests a greater role for sunset provisions in the mandatory sharing regime. Henry E. Smith, Self-Help and the Nature of Property, 1 J.L. Econ. & Pol'y 69 (2005). Self-help and the law's response to it lie at the center of a system of property rights. This has become all the more apparent as questions of property - and whether to employ property law at all - have arisen in the digital world. In this Article, I argue that self-help comes in different varieties corresponding to different strategies for delineating entitlements. Like property entitlements more generally, the law does not regulate self-help in as detailed a fashion as it could if delineation were costless. Both property entitlements and self-help show far less symmetry and a far lesser degree of tailoring than we would expect in a world in which we did not face delineation costs of devising, describing, communicating, and enforcing the content of rights and privileges to use resources. Henry E. Smith, Property and Property Rules, 79 N.Y.U. L. Rev. 1719 (2004). Henry E. Smith, Exclusion and Property Rules in the Law of Nuisance, 90 Va. L. Rev. 965 (2004). Henry E. Smith, The Language of Property: Form, Context, and Audience, 55 Stan. L. Rev. 1105 (2003). Henry E. Smith, Structured Settlements as Structures of Rights, 88 Va. L. Rev. 1953 (2002). Henry E. Smith, Exclusion versus Governance: Two Strategies for Delineating Property Rights, 31 J. of Legal Stud. S453 (2002). Thomas W. Merrill & Henry E. Smith, What Happened to Property in Law and Economics?, 111 Yale L. J. 357 (2001). Thomas W. Merrill & Henry E. Smith, The Property/Contract Interface, 101 Colum. L. Rev. 773 (2001). Thomas W. Merrill & Henry E. Smith, Optimal Standardization in the Law of Property: The Numerus Clausus Principle, 110 Yale L.J. 1 (2000). Henry E. Smith, Ambiguous Quality Changes from Taxes and Legal Rules, 67 U. Chi. L. Rev. 647 (2000). Henry E. Smith, Semicommon Property Rights and Scattering in the Open Fields, 29 J. of Legal Stud. 131 (2000). Henry E. Smith, Intermediate Filing in Household Taxation, 72 S. Cal. L. Rev. 145 (1998). Henry E. Smith, The Harm in Blackmail, 92 Nw. U. L. Rev. 861 (1998). Henry E. Smith, The Modern Privilege: Its Nineteenth-Century Origins, in The Privilege Against Self-Incrimination: Its Origins and Development (R.H. Helmholz et al., 1997). This book constitutes a major revision of our understanding of an important aspect of both criminal and constitutional law.